Panoramic views. In a small village in the Pyrenees. Private barbecue. Located on the ground floor and distributed in one level, the owners live on the first floor. The living room with fireplace and TV, the dining room and open kitchen equipped with fridge, gas hob, microwave, coffee machine and blender. 1 large twin bedroom and 1 double bedroom. Bathroom with shower. Situated in the small village of Calvinyà, at 1.000m altitude, only 6km from La Seu d'Urgell, the region's capital, enjoys some of the best views of the region over the valley of the river Segre and the surrounding mountains. A few meters from the town, from El Serrat, we can see Cadí mountains, Segre river and the villages of Alàs and La Seu d'Urgell. The house is situated at one extreme of the village and is a restored straw loft, taht keeps the same structure and materials as the other housesin the village and comonly used in the region: stone, wood beams and slate roof. On entering the house through the front gate we find a pleasant patio area with spectacular views. Calvinyà is situated close to the border with Andorra. This area also boasts some of the highest mountains in the region. This area is an important crossroads for communicating with other areas of the Pyrenees such as Andorra or Cerdanya. There are many opportunities for those who like to enjoy the outdoor activites: skiing both alpine and cross country, canoeing and fishing in Parc Olimpic del Segre, indicated routs to do by foot or by bike through gret natural areas such as the Cadí- Moixero National Park. Also other cultural activities such as the museums , the Catedral de Santa Maria d'Urgell in La Seu d'Urgell, Romanesque churches like Sant Climent de Nargó. Also worth a visit in the historic centre of La Seu d'Urgell. We appreciated the terrace of this tiny appartment which is actually the 1rst floor of the landlord house who occupies the 2nd floor. No disturbance from such lay-out. The house is very old and typical from the area. 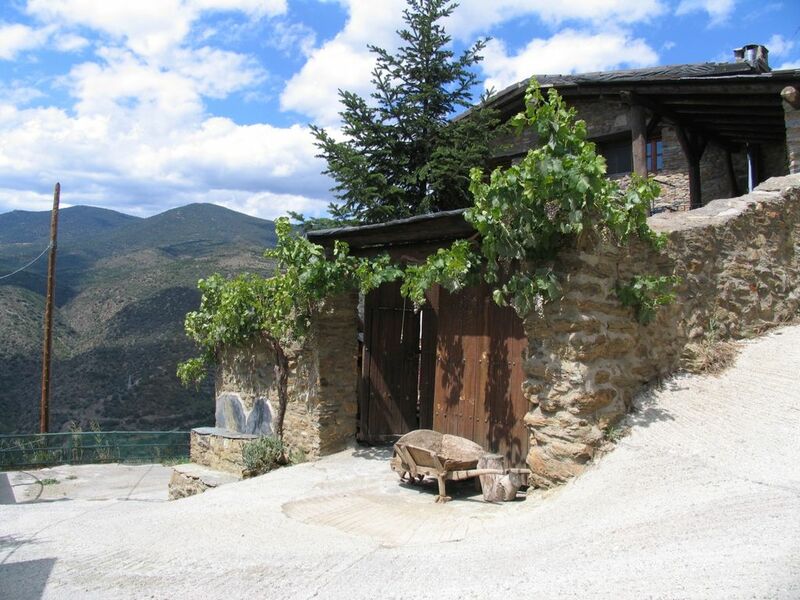 The tiny hamlet is very nice and isolated in the mountain, 10-15 min from Seu d'Urgell by car. Good beddings and confortable bedrooms. Nice small living room with open kitchen but basic kitchen equipments, we were only 2 but more pots / pans would be appreciated. We would have also appreciated some personal recommendations from the landlords on trekkings, visits, markets, restaurants... even if they speak only Spanish. Nevertheless, a lot of flyers about activities were at disposal, but nothing on trekking. La Seu D'Urgell to 6 km, Andorra 15 km. This small town enjoys one of the best views of the region, its feet Segre river valley and to the mountains of Port del Cantó to the Natural Park Moixeró extends.